The sweaty mambo dance-floors of the legendary Palladium nightclub. The weekend Borscht Belt ballrooms of the Catskills hotels. The bar mitzvah bandstands of Brooklyn. The Fania All-Stars stages of the Cheetah and Yankee Stadium. The pianos of the Brill Building. The bullrings of Tijuana. Welcome to one of the great unsung currents of American pop music: the forgotten musical mash-up of Latin and Jewish, bagels and bongos, Spanish and Yiddish, manteca and schmaltz, that’s been a bubbling undercurrent of American pop music since the early 1900s. It’s a story full of Jewish mambo dancers, Jewish salsa greats, beloved sidemen, and record label chiefs on the one hand, and Latino bandleaders, singers, composers, and entrepreneurs on the other. 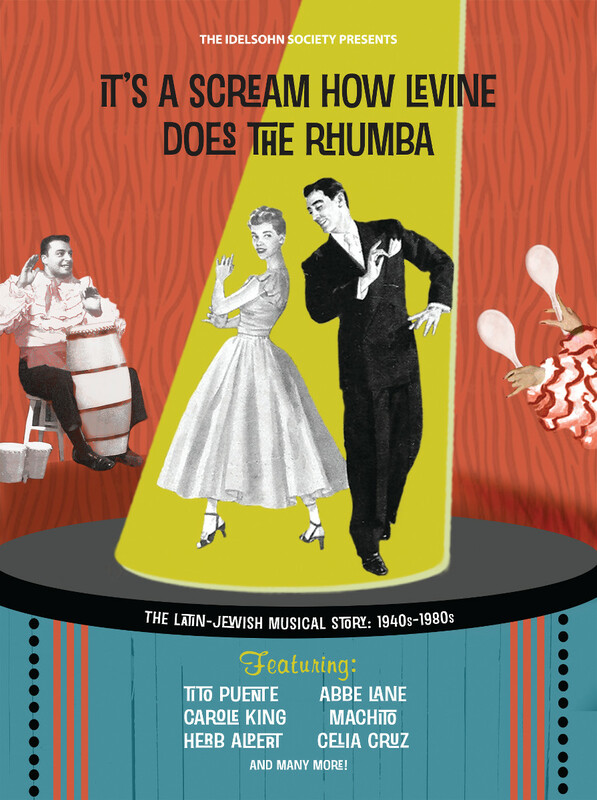 The forthcoming two-CD set It’s a Scream How Levine Does the Rhumba: The Latin-Jewish Musical Story, 1940s-1980s, is the first of its kind to excavate and mine this cross-cultural tale. Featuring legendary names like Eddie Palmieri, Celia Cruz, Herb Alpert, Carole King, Tito Puente, and many more, it offers an in-depth historical examination of the relationships between Latinos and Jews in America through the sound of popular music.